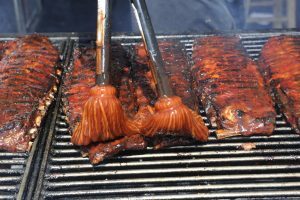 Uncasville, CT (April 5, 2019) – Mohegan Sun is gearing up once again to celebrate the best in barbecue with lots of food, cold beer, hand-crafted cocktails, live music and so much more at the 7th Annual Sun BBQ Fest. It all goes down in the Winter Parking Lot on Saturday, June 1st and Sunday, June 2nd – guests can enjoy full plate vending from nationally-acclaimed BBQ teams, sample small bites in the People’s Choice Competition or participate in the annual Wing and Rib Competition. Sun BBQ Fest also features a barbecue competition with over 50 teams, sanctioned by the Kansas City Barbecue Society. Over two days, over $25,000 will be given in prize money. Tickets are $5.00 per day or $8.00 for the whole weekend and on sale now at Mohegan Sun Box Office. Kids ages six and under receive free admission. Admission tickets and $1.00 tickets for food and beverages will be also be available for purchase at the festival entrance. Guests can feast throughout the day by participating in the People’s Choice Contest. Twenty Kansas City BBQ Society teams will offer $2.00 BBQ samples all weekend long, and guests can vote for the best in show. Voting will be open from Saturday at 11:00am until Sunday at 3:00pm and the winners will be announced on Sunday at 4:00pm. In addition to the People’s Choice competition, guests can indulge at the Rib and Wing Challenges. All Kansas City BBQ Society competitors will be given racks of ribs and loads of chicken wings to prepare in any flavor they wish. For $5.00, guests can taste any five ribs or wings and help determine who reigns supreme. Winners will be announced on Saturday evening prior to the fireworks show presented by Liberty Bank, and a portion of the proceeds from both competitions benefit Operation BBQ Relief, an organization dedicated to providing meals to disaster-stricken communities across the U.S. The Rib Challenge Tent is open to guests on Saturday from Noon – 2:30pm, and the Wing Challenge Tent is open on Saturday from 6:00pm – 8:30pm. Sun BBQ Fest wouldn’t be complete without entertainment! Celebrity chef and BBQ expert Myron Mixon helps get the Winter Lot smoking with two chef demos at 1:00pm and 3:00pm. Myron has won more barbecue competitions than anyone else in the world, including 200 grand championships, over 1,800 trophies, 30 state championships and more. On TV, Myron is the Executive Producer and host of BBQ Rules and star of two other hit television shows BBQ Pitmasters and BBQ Pitwars on Discovery’s Destination America. End Saturday with a bang! An electrifying firework display presented by Liberty Bank starts at 9:15pm. All day Sunday, live music will be provided on the Main Stage to keep the party rolling. 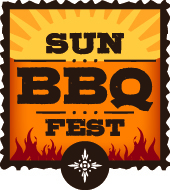 To learn more about Sun BBQ Fest, please visit the event website. Note: Mohegan Sun requires persons under the age of 18 to be accompanied by a parent or legal guardian during Sun BBQ Fest. Unescorted minors will have their parent/legal guardian contacted to pick them up immediately.